One aspect that has faced investors over the past five years is the fact diversification has detracted from a mostly large cap U.S. equity allocation. 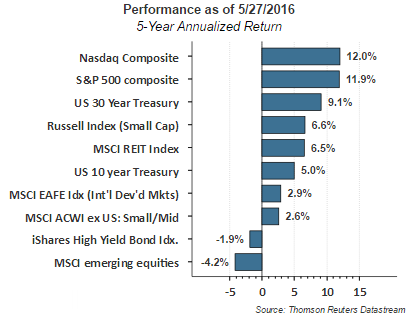 Investments in high yield bonds and emerging markets generated negative returns, while investments in the NASDAQ and S&P 500 Composites resulted in double digit annualized returns over the most recent five year period. 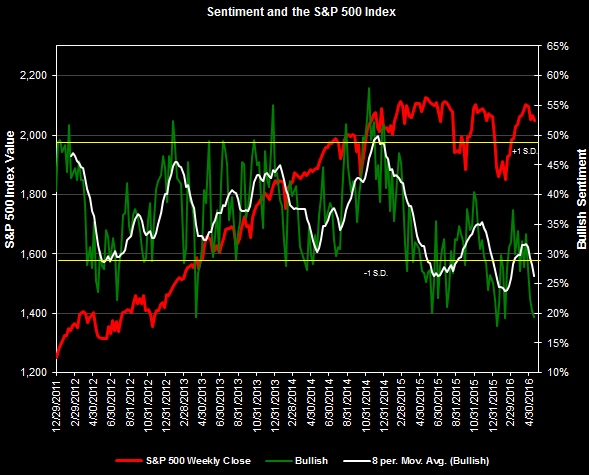 The American Association of Individual Investors reported another decline in bullish sentiment this morning. Bullish sentiment was reported at 17.8% and comes in below the level reached at the depths of the financial crisis in 2009. The lowest reading in 2009 was 18.9% and occurred in early March of that year. A number of market technical indicators have turned positive as we noted in a few posts over the past several days. 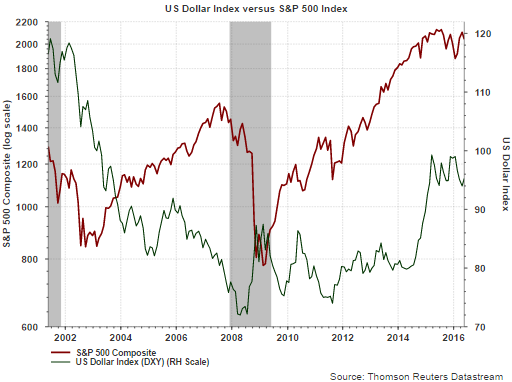 Now with bullish sentiment coming in at an extremely low level, it is not a surprise the market has bounced higher over the course of the past week. 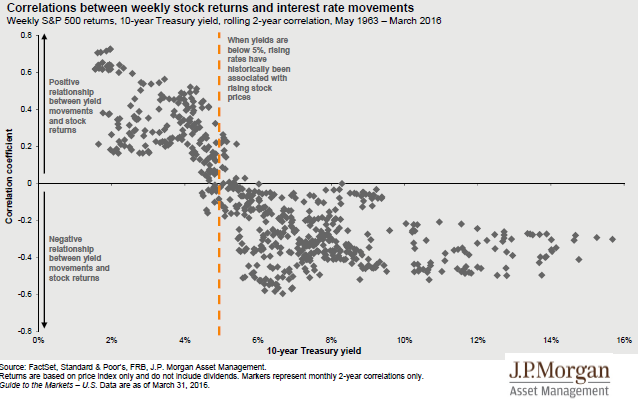 Investors are reminded this is a contrarian indicator and is most predictive at its extremes. On May 26th the Dow Jones Industrial Average (DJIA) will celebrate its 120th year. 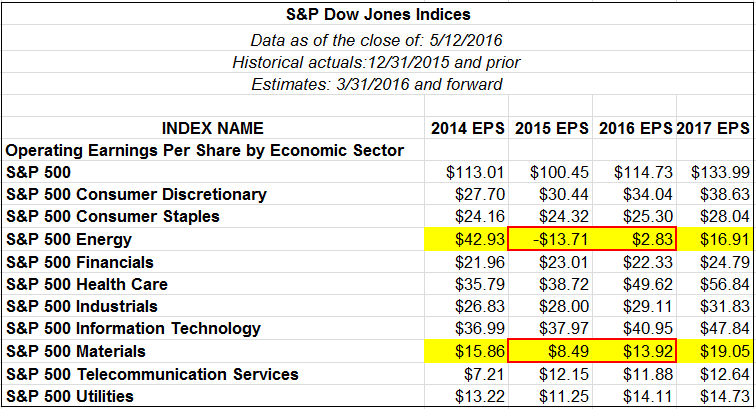 In honor of this feat, S&P Dow Jones Indices published a white paper containing a number of facts and figures around the Index. 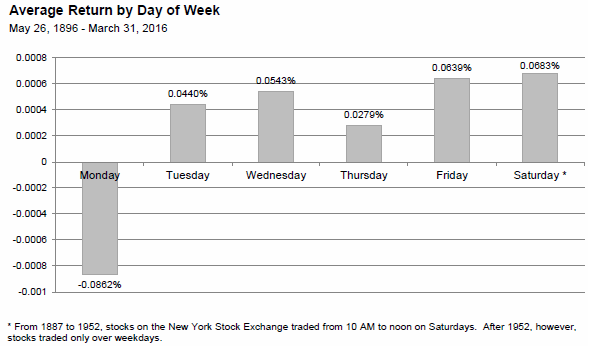 For example, the best trading day of the week for the DJIA is actually Saturday so maybe we should bring back Saturday trading. From 1887 to 1952 stocks were traded on the NYSE from 10:00am to noon. And for all the 'sell in May' hype, at least for the DJIA Index, July and August are two of the three best performing months of the year. In fact, the summer rally tends to begin accelerating in June. Simply avoiding the month of September, the largest draw-down month, is maybe what investors should consider if they are true believers in the 'sell in May' mantra. The entire white paper is an interesting and fact-filled read. The action over the last few days make it seem a possibility the nearly two year sideways trading pattern we are stuck in is coming to an end. 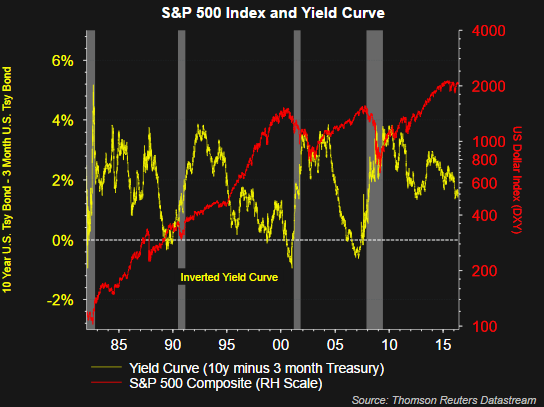 If so, just maybe it won't be such a long hot summer and investors will be rewarded with average returns generally achieved by the market in the June, July and August months. The market is in a seasonally weak period, i.e., all the sell in May mantra, and this has created a number of bearish technical setups for the S&P 500 Index. I am not showing all of them; however, the bulls are making an effort to kill off the head and shoulder top pattern (dashed lines). 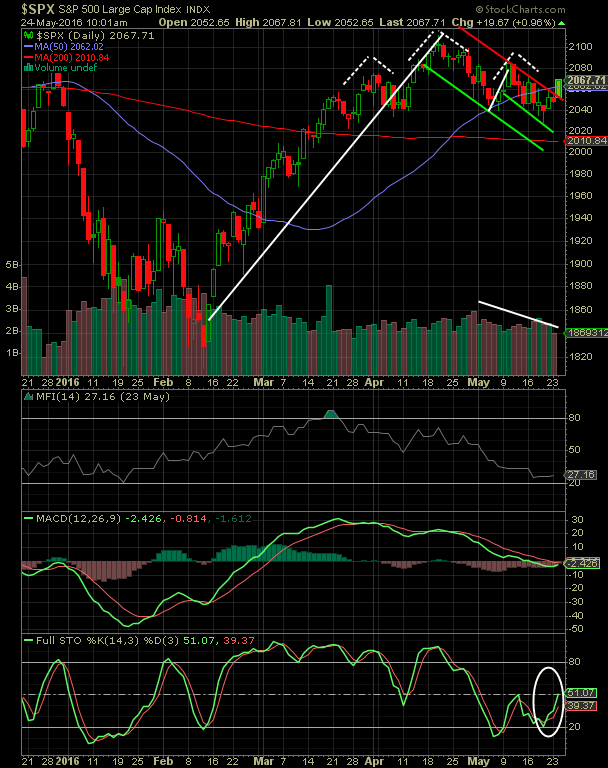 This market action is creating two potential bull flag breakouts. The breakout is also resulting in the S&P 500 Index to trade above its 50 day moving average. Importantly, the larger bull flag pattern has occurred on a strong upside move off of the February low. 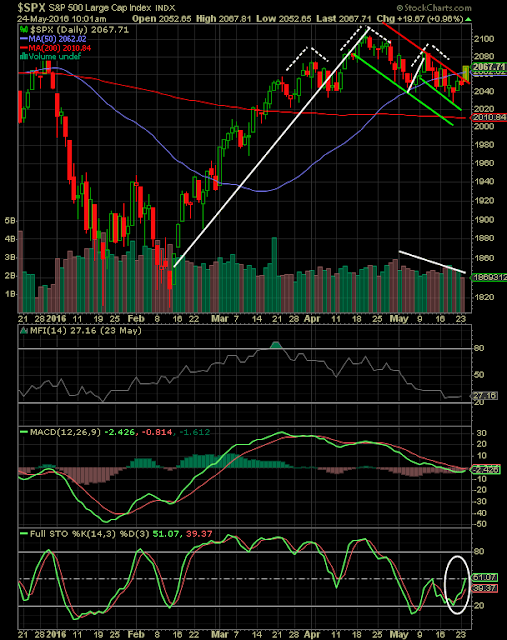 The potential bull flag breakout has occurred on lower selling volume as well. Lastly, the money flow index (MFI) and stochastic indicator are showing favorable bullish indications. As we noted in our post at the end of last week,these positive technicals seem to be occurring at a time fundamental headwinds seem to be easing. On a monthly basis the American Association of Individual Investors surveys its members on the asset allocation of their members investment holdings. In the April survey, on average, its members noted their equity exposure equaled about 64%, above the average of 60%. The bond allocation was equal to the long term average, while cash came in below average. 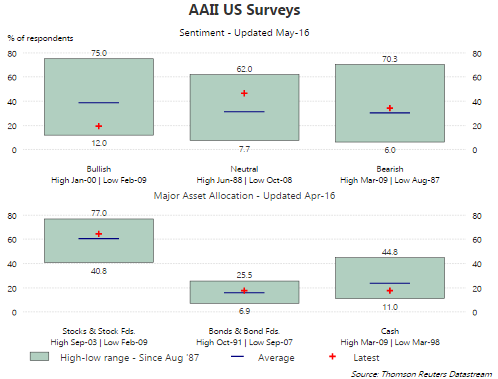 What is interesting about these stated allocation responses is the AAII Sentiment Survey notes a near extreme low on individual investor bullish sentiment. 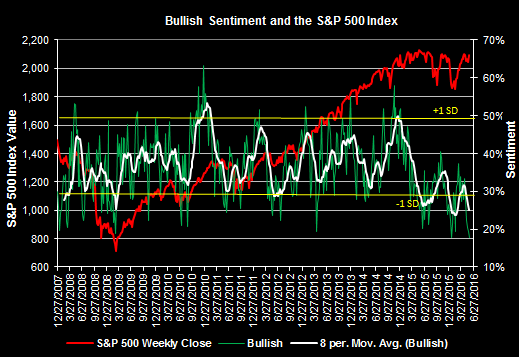 In the Sentiment Survey report released this week, bullish sentiment was reported at 19.3%, which is far below the longer term average of 38.5%. "For the week equity exchange-traded fund (ETF) authorized participants pulled $1.7 billion net from ETFs. They added $942 million net to SPDR S&P 500 (SPY) while removing $1.2 billion from iShares MSCI Emerging Markets (EEM) and $1.9 billion from iShares Russell 2000 (IWM). Equity mutual fund investors pulled $2.2 billion net from their funds and brought the year-to-date equity mutual fund net outflows to $30.4 billion." "Taxable bond mutual funds collected $2.1 billion of net inflows, of which high-yield mutual funds saw net inflows of $203 million and high-yield ETFs took in $931 million. Bond ETFs gathered $2.8 billion of net inflows. The week’s biggest individual bond ETF net inflows belonged to iShares iBoxx $HY Corporate (HYG, +$937 million)." "Municipal bond mutual fund investors added another $1.0 billion net this past week, for the first consecutive billion-dollar-week streak since January 2013. 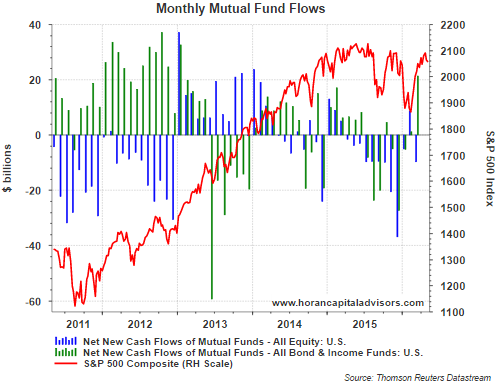 Money market funds saw net inflows of $10.7 billion for the week. Institutions added a net $8.5 billion, while retail added $2.2 billion." In spite of the lack of investor bullish sentiment and stated equity allocations that are higher than average, flow data and sentiment reports might be a better gauge of overall sentiment than looking at investor allocation responses. WTI Crude has rebounded over 70% to $44.60/bbl from its $26/bbl low reached on February 11th. 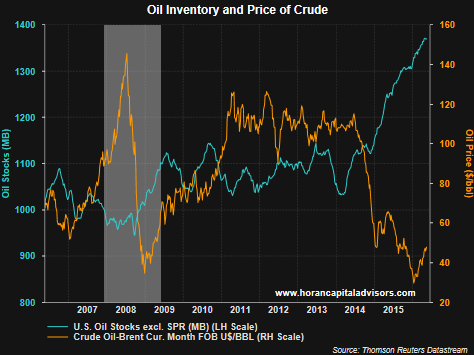 This price recovery has occurred while supply continues to grow at an unabated pace as can be seen in the below chart. 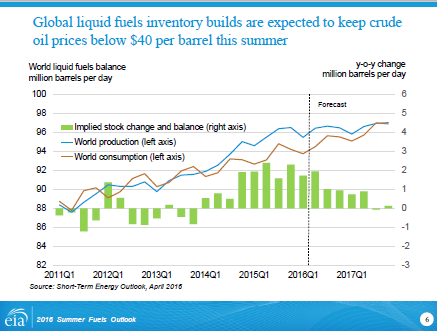 The U.S. Energy Information Administration's summer 2016 fuels outlook (PDF) is forecasting continued supply growth with the expectation oil prices will average $35/bbl this summer. Driving this supply growth is continued elevated production from OPEC Countries that is in excess of supply cuts in many of the other oil producing countries. For the week fund investors were net redeemers of fund assets (including those of conventional funds and exchange-traded funds [ETFs]), pulling out a net $2.8 billion for the fund-flows week ended Wednesday, May 4. While investors were net sellers of equity funds (-$11.2 billion, the largest weekly net redemptions since January 6, 2016), they padded the coffers of money market funds (+$6.5 billion), taxable bond funds (+$1.1 billion), and municipal bond funds (+$0.7 billion). As the below chart indicates, equity outflows have been fairly steady since April of last year and accelerated in December. If one facet of the market that has become clear this year is that companies paying a dividend are being rewarded. 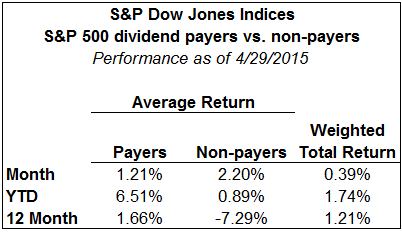 The below table shows data reported by S&P Dow Jones Indices on the average performance of dividend payers in the S&P 500 Index versus their non-paying counterparts. 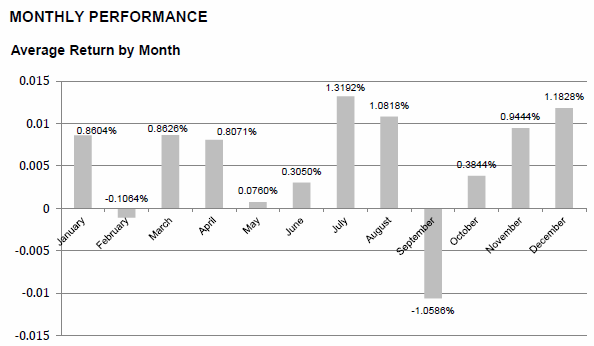 Year to date through April the payers average return return equals 6.51% versus the non-payers return of .89%. The spread is even wider for the 12-month period with the payers returning 1.66% and the non-payers return equaling -7.29%. We have noted the propensity by investors to favor the payers over the non-payers of late. Yesterday's post on the Dogs of the Dow 2016 performance is a version of this theme. 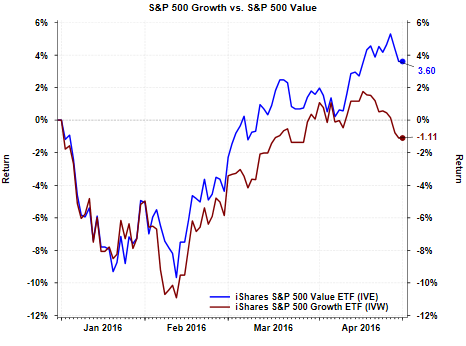 Not that all value stocks need to be dividend payers, but the iShare S&P 500 Value ETF (IVE) has a dividend yield of 2.35% versus the iShares S&P 500 Growth ETF (IVW) yield of 1.52%. As can be seen in the below chart, value is leading growth so far this year as well. In this low rate world it seems dividend paying stocks are gaining some respect by investors. 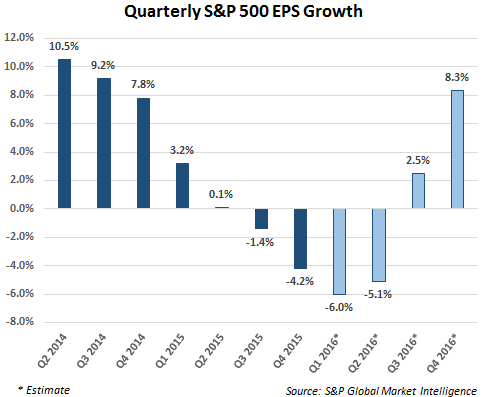 In a slow growth economic environment though, companies that can grow earnings in spite of the economy's anemic growth rate (growth stocks) have historically performed well. Since the end of the financial crisis both growth and value tracked pretty closely up until the end of 2013. 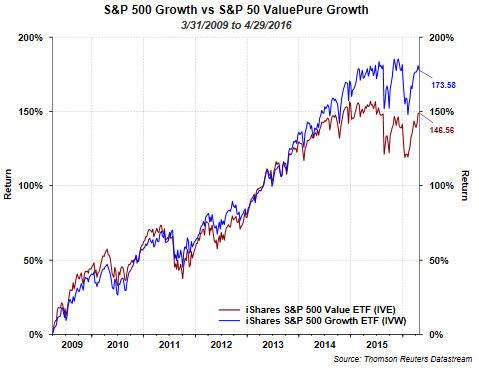 For the last two plus years though, growth has led value in performance. Maybe the tide is beginning to turn in favor of value though. This year's performance of the Dogs of the Dow is indicative of investor interest in dividend paying stocks. The Dogs of the Dow strategy is one where investors select the ten stocks that have the highest dividend yield from the stocks in the Dow Jones Industrial Index (DJIA) after the close of business on the last trading day of the year. Once the ten stocks are determined, an investor invests an equal dollar amount in each of the ten stocks and holds them for the entire next year. As can be seen in the below table, the average return of this year's Dogs of the Dow is 8.9% versus the Dow Jones Industrial Average ETF return of 2.8% and the S&P 500 Index ETF return of 1.7% through April 29, 2016. 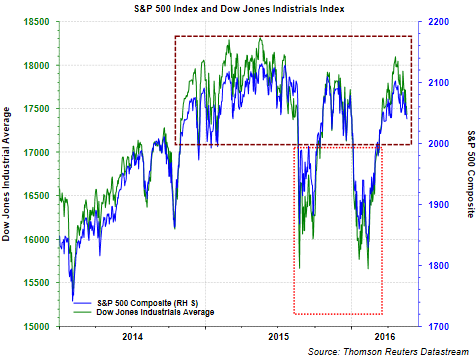 Particular strength is being seen in the energy and industrial Dow Dogs this year. Much of the year has yet to unfold; however, Intel's (INTC) current yield of 3.43% (yield of 2.79% at year end 2015) would qualify it as a Dog of the Dow at the moment. Year to date Intel's stock price has declined 12.1%. Intel would replace Wal-Mart (WMT) where WMT's current yield is 2.99%.